It is with excitement that we present an exclusive Caravan submission by one of our new Itchy Nomads, Pallavi Dhyani. But first a little back story…. The world is truly shrinking. In March of 2013, John and I were staying in Pahrump, Nevada. Pahrump is a small, rugged and interesting town in the harsh Nevada desert, not far from Death Valley. We had a chance meeting with Wyoming cowboy and world adventurer John Gado. John can tell some tales. 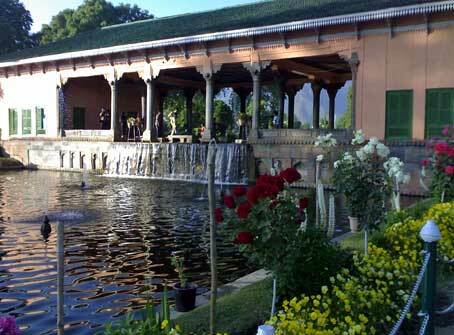 John spoke of a magical lake of unparalleled beauty at the base of the mighty Himalayas. He described weeks on end aboard a classic, colonial houseboat with a fulltime personal attendant who treated him like royalty. His story took root in our imaginations. Now less than a year later, with the magic of the Caravan community, Pallavi shares her firsthand account that validates the grandiose claims of cowboy John. We appreciate Pallavi sharing her experience and demonstrating the diversity of our new community. “Gar Firdaus Ber Ruhezamin asto, hamin asto, hamin asto, hamin asto”, were the words in Pashto of Jehangir, a 16th century Mughal emperor describing the state of Kashmir in India. In English, this translates to “If there is paradise on Earth, its right here, its right here and its right here”. Centuries later, this epithet still holds true as the abundant natural beauty of this state has bravely withstood the rages of time and tourism. Srinagar is the capital of the State of Jammu & Kashmir in India and is most famous for its lake (called the Dal Lake) and several manicured gardens created during the Mughal rule. 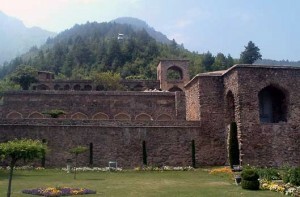 Srinagar, it is said, was founded around the 3rd century BC by a Hindu ruler. 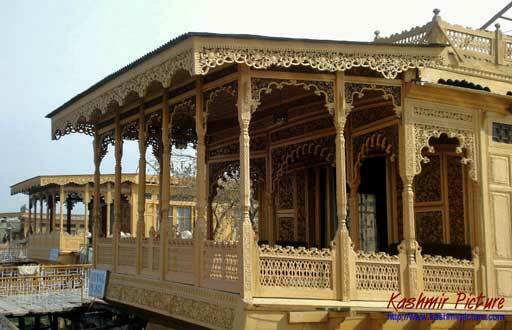 Over the centuries, it was ruled by many, some Buddhist but mostly Mughal (Muslims) rulers. 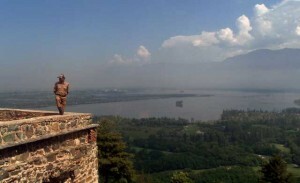 Kashmir, bordering India and Pakistan, has been a bone of contention between the two nations, owing to which it has been a victim of militancy and army rule for a long time. With the situation improving over the last couple of years, tourism has seen a rise again in this land which is rich in both culture and heritage. 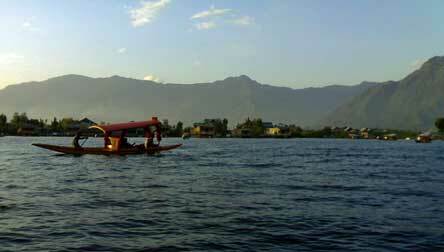 Dal Lake is often called the “Jewel in the crown of Kashmir” because of its massive water body surrounded by the snowcapped Himalayan range. During the summers, the Lake is avidly used for boating, canoeing and swimming. During the winters, when the water is frozen, it is used for snow skiing. Dal Lake is famous for its houseboats and shikaras (a small boat with a canopy). While houseboats are used more as floating hotels, shikaras are used for ferrying tourists as well as by vendors for selling flowers, fruits and vegetables. At about a distance of 80 Kms. from Srinagar, lies the beautiful hill station of Sonamarg, which means a meadow of gold. 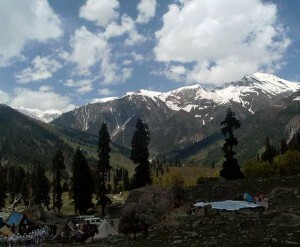 Sonamarg is practically on the India-China border and is inaccessible during the winters. The drive to Sonamarg through the lush green meadows is what only dreams are made of. 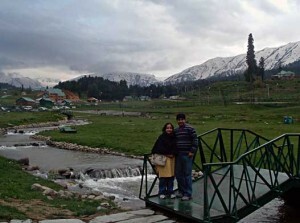 Thank you Pallavi, for your enchanting account of the beauty and attractions of Kashmir. Pallavi, her husband and new baby girl live near Delhi, India. Itchy Nomads we encourage YOU to share what you find of interest in your life, your hometown or beyond. John Gado asked to share these additional insights from him on this destination, “I’m so glad other people will see and enjoy the wonder, Lake Dal. There are actually 2 lakes there. I think the other is Nigeen. My spelling is not best so check it out.